Sell Your Home Fast in South Jordan, UT. If you are simply out of time or just need to sell your home fast, the home buying experts at Salt Lake Homes For Cash can help you! We will help you find a solution to selling your home and in the fastest means possible. Simply fill out the form on the right for a no-obligation price quote on your home. Need to Sell Your South Jordan, UT Home Fast Because of Bad Tenants? You may have rented your home out in hopes that you would make extra money for your tenants and be able to pay off the loan faster. But if you were stuck with bad tenants that didnt pay their rent and left you struggling to afford the home, we can help. We will help help you sell your home fast. Complete the form on this page to learn more. 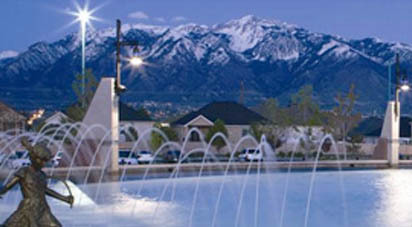 Struggling With Bankruptcy and Need to Sell Your South Jordan, Utah Home Fast? Filing bankruptcy is not easy. It is time consuming, really hurts your credit score and can take years to pay back your debt. It may even leave you needing to sell your house fast for cash. That is where Salt Lake Homes For Cash can help. We will help you sell your home fast, pay you cash and cover closing fees. Call us today to learn more. Behind on South Jordan, UT Home Mortgage Payments and Need to Sell for Fast Cash. If you have lost your job, you may no longer be able to afford your mortgage payments and need to sell your home fast. Salt Lake Homes For Cash will help you sell your home fast and get the cash you need. We buy homes fast, pay you cash, cover closing fees and don’t take commissions. Fill out the form on this page to receive a free quote on your home. Divorcing and Need to Sell Your Home Fast in South Jordan, UT. Making the decision to keep the family home, especially when children are involved, is a very hard decision to make. It may seem like a great idea to stay where you are comfortable and avoid the hassle of moving, but it may not be the best financial decision. If you give up everything to cover your mortgage payment, you will not be able to afford other bills and end up in a financial mess. Save yourself the hassle and sell your house fast today! Salt Lake Homes For Cash will help you and give you a fair price for your home. Call us today. Need to Sell a Home in South Jordan, UT Fast That I Aquired in a Probate Situation. Probate sales often take longer than traditional real estate transactions. This can leave you frustrated and looking for a solution. Salt Lake Homes For Cash can help you today! We will help you sell your home fast and avoid the lengthy process of selling your estate through traditional real estate methods. Call us today for more information and a free quote. Job Transfer and Need to Sell My South Jordan, Utah Home Fast. Selling your home is like a guessing game, you never know how long it will take and if someone will actually buy your home. If you need to sell your home fast, stop playing the guessing game and contact Salt Lake Homes For Cash. We will pay you cash, cover closing fees and won’t take commission. Make your life easy and call us today! South Jordan, Utah Home Listing is Expired and Need to Sell It Fast. Selling your home takes a lot of motivation on both your part and an agents part if you are listing it on the real estate market.. It is easy to lose motivation after your listing expires. Regain your motivation and sell your house fast to Salt Lake Homes For cash. We buy homes in any condition, price range and location. Complete the form on this page to learn more and receive a free offer on your home today. Sell Home Fast to Avoid Foreclosure in South Jordan, UT. The process of foreclosure empowers your lender to sell or repossess your property after you have failed to keep up on your payments. Don’t let this happen to you. Sell your home fast to avoid foreclosure and the negative effects it can have on your credit. Salt Lake Homes For Cash will buy your house fast and get you the cash you need. Contact us to learn more right now. Sell Your House For Cash in South Jordan UT. Sell Your House Fast in South Jordan, UT. Sell Your House Quickly in South Jordan, UT. Selling My Home Fast in South Jordan, UT. Buy My Home in South Jordan, UT.